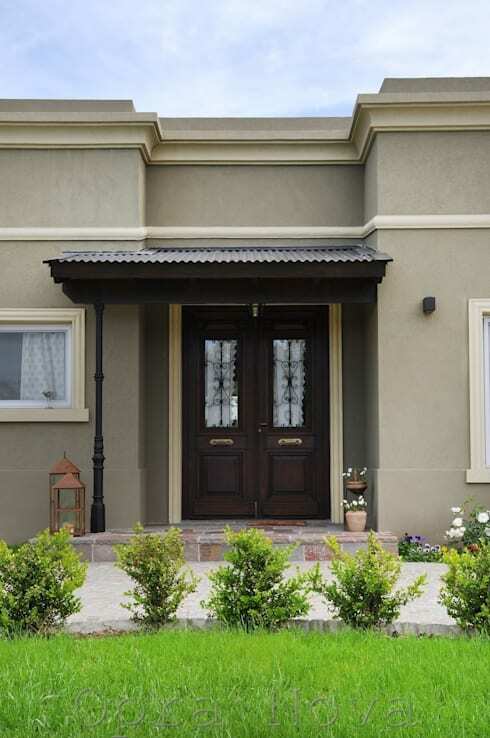 It’s a well-known fact that the entrance to your property is a crucial and oft-neglected area of the home. Not only does it say a lot about the way we design and decorate our abodes, it also offers a first impression for guests and visitors. 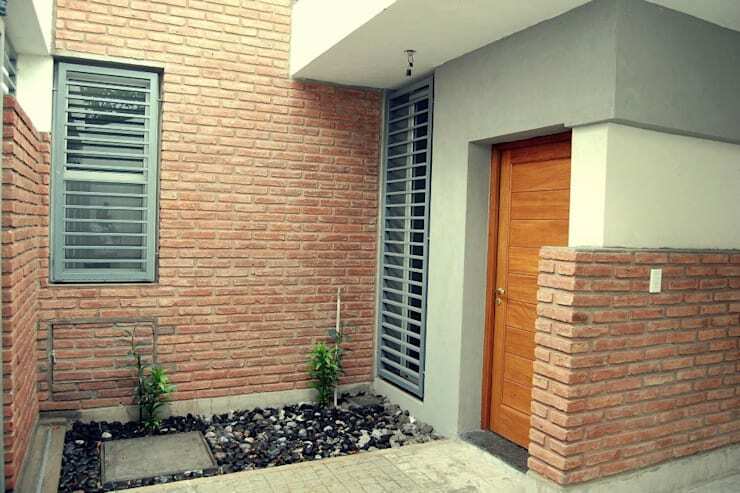 Your front door needs to offer functionality, while also imparting your desired ambience and atmosphere. 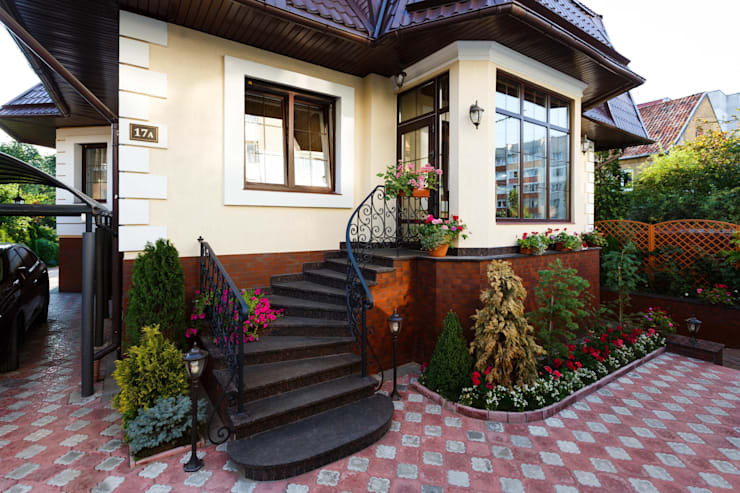 Stairs, lighting, landscaping and fences all contribute to the overall aesthetic, as well as your home’s façade so it is vital you choose them with care and consideration. To offer a little inspiration and a few ideas we’ve collated 15 entrance examples that are sure to provide something for every taste or preference. Pick your favourite by reading on below! Simplicity is difficult to achieve, but this home has managed it effortlessly. 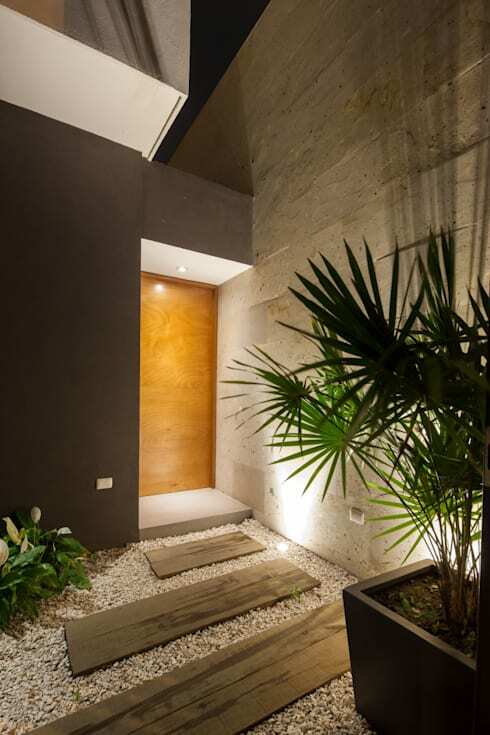 Timber stepping-stones are a nice touch, while the well-illuminated front door is welcoming. Timeless and classic, this entrance ticks all the boxes. We love the cream stucco that is paired with darker contrasting elements, and of course the fact it is extremely clean and tidy! 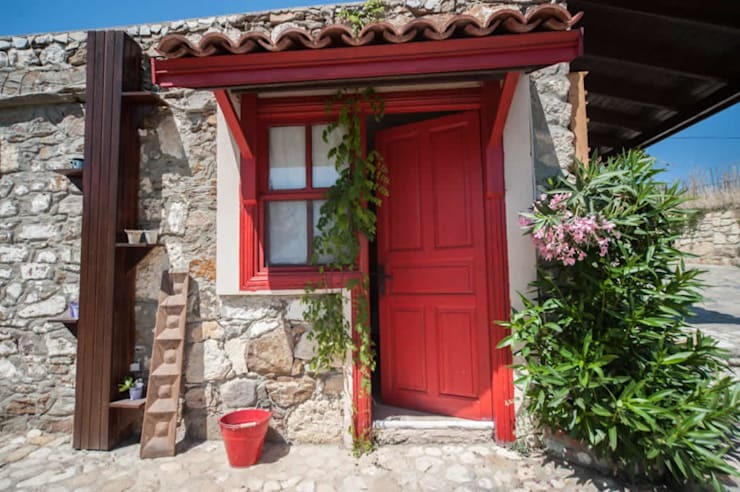 Bright entrances never fail to offer a warm, welcoming and joyful aesthetic to one’s home. This functional entrance boasts simple stepping-stones that meander to the large, white front door. 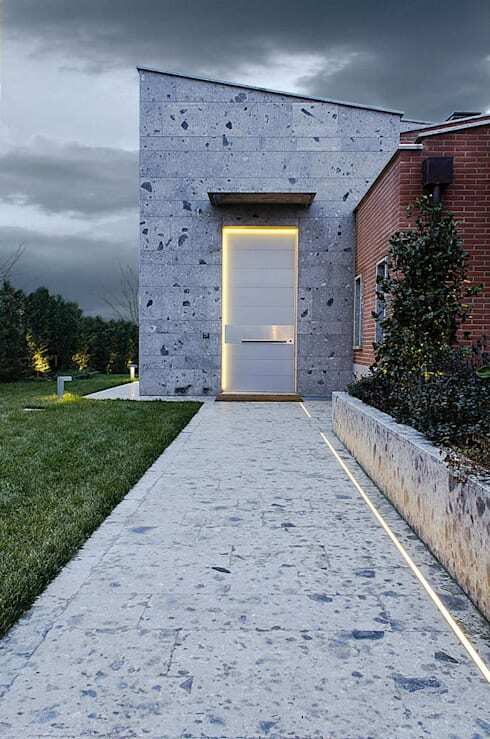 Good lighting is essential for a stylish entrance. This magical example is successful and a great demonstration of how to utilise multiple sources of illumination. 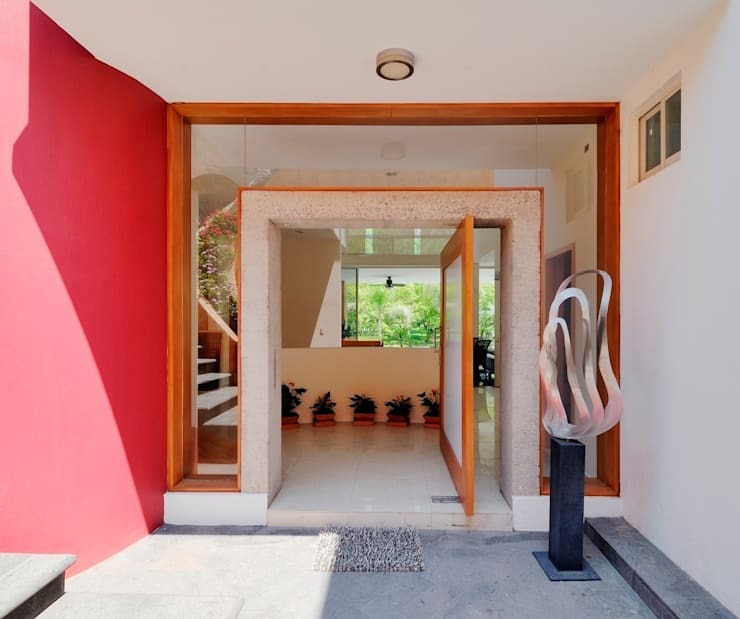 Go simple and opt for something similar to this entrance that is both functional and gorgeous! Smart and über-sleek, this impressive entry is clean and well-kempt with a black and cream colour scheme. 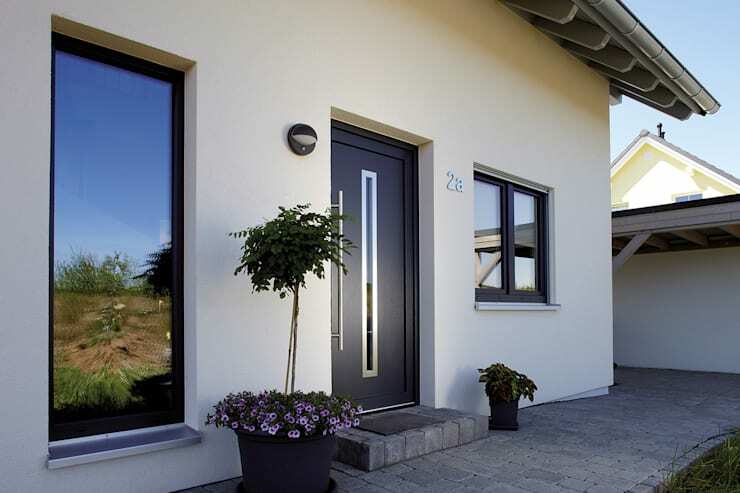 Glass brings the outside ‘inside’ and ensures the entrance is eye-catching and fabulous. 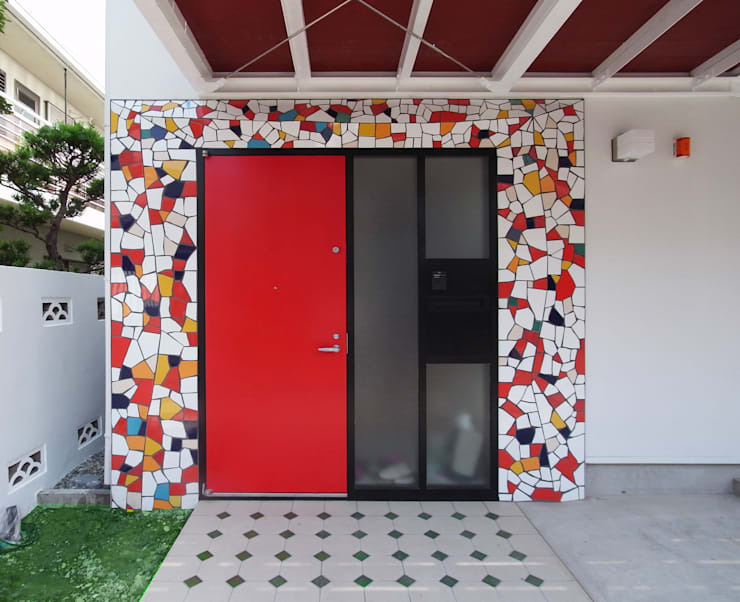 For something a little different, check out this decorative entrance that embraces a bright red door, paired with abstract mosaics. One of our favourites, this huge front door is centrally hinged and combines traditional materials with contemporary style. Angular and edgy, this next example is straight out of the future with its recessed lighting that appear as though the door is a portal to another universe. 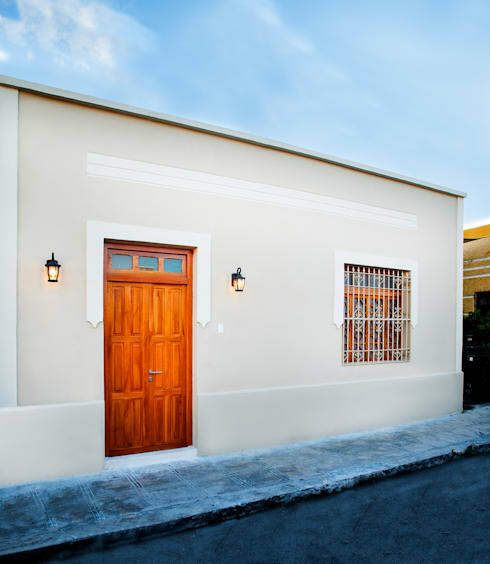 This traditional home has been renovated and boasts a revised ambience that is sympathetic to its original design. 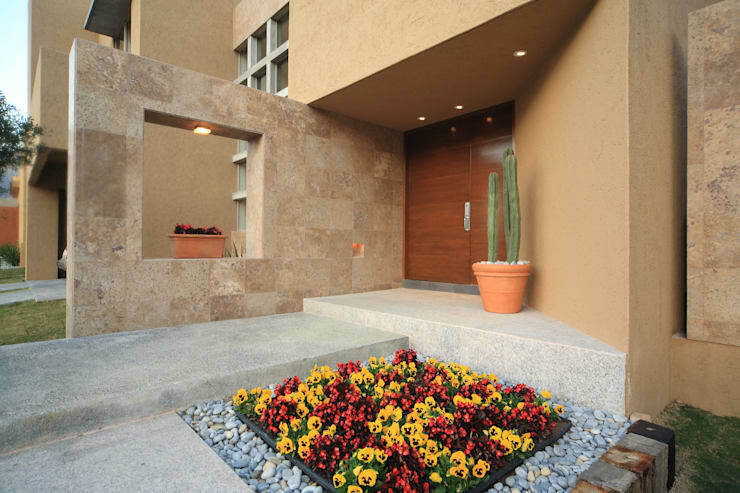 Landscaping is another crucial element of entrance design. Choose plants that suit your architecture, and consult a professional landscaper if you have doubts. These attention grabbing stairs are seriously impressive! 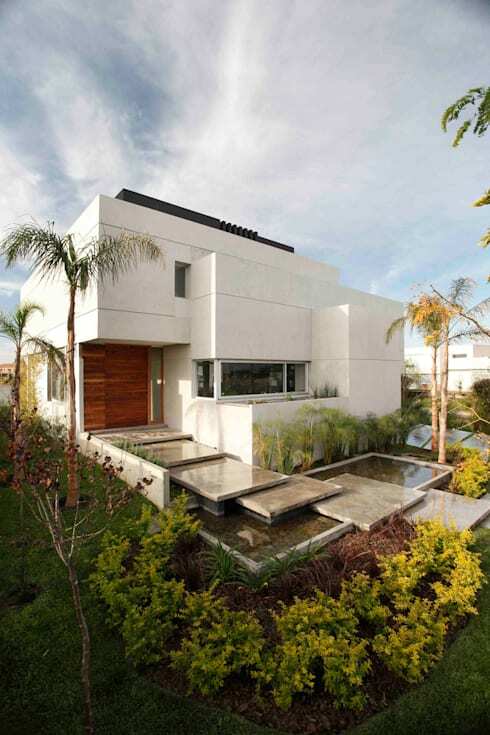 With built-in water features, this entry is unforgettable. If you need more entrance advice, you can always chat to an expert. Find a professional architect via the homify website and get renovating today! 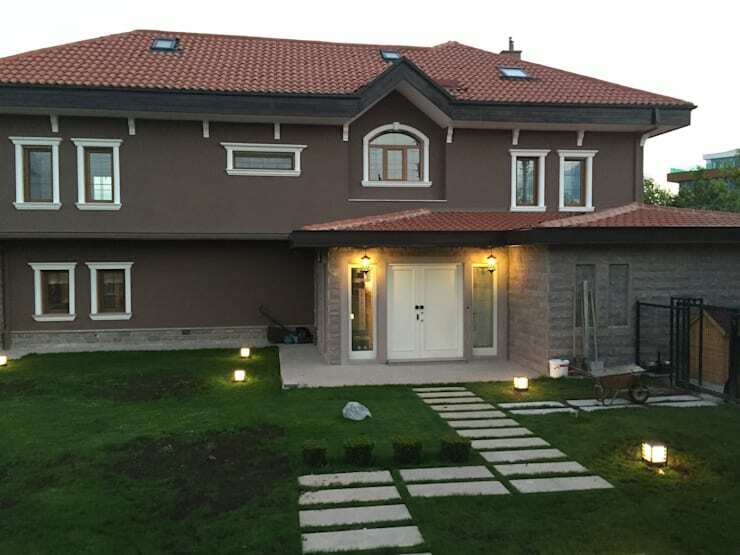 Lastly we check out an elegant entry with contrasting portico that adds sophistication and timelessness to the home’s architecture.